Intelsat announces the 45th anniversary of its operation, having launched the Early Bird, or Intelsat 1, satellite over the Atlantic on April 6, 1965 as an intergovernmental organization. 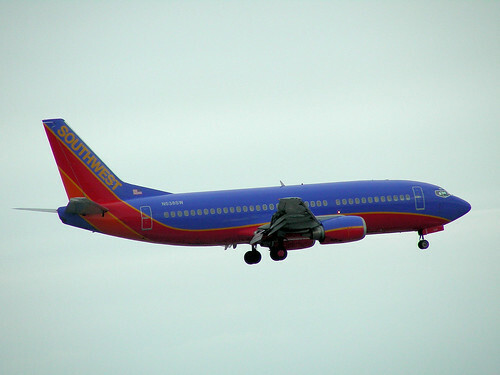 Southwest Airlines prepares to begin fleetwide rollout of Wi-Fi in first quarter of 2010 using Row 44’s satellite service. WildBlue pursues $30m slice of American Recovery and Reinvestment Act money to help subsidize satellite broadband connections for about 10,000 homes in Colorado and Wyoming and another 10,000 i Arizona which are not served by high-speed cable, fiber, or DSL lines. Satellite testing of KVH mini-VSAT in Australia and New Zealand is complete and it has been activated for service there, providing Internet and voice communications needs for maritime and aeronautical applications. Lunar Orbiter, launched in June, uses wave amplifier to transmit massive amounts of data at 100 Mbs; with Lunar Crater Observation and Sensing Satellite, launched at the same time, NASA hopes to find suitable landing site for future manned mission to moon. Harris wins multi-year contract to provide high-speed internet and advanced voice and data to Carnival Corp. cruise ship passengers. Government of Canada invests $8.7m in next generation mobile satellite communications research and development undertaken by EMS SATCOM. Ariane 5 rocket scheduled to lift off Friday with dual payload of 4,000 Kilo JCSAT-12 satellite to provide communications for Japan and the Asia-Pacific region, and 2,500 kilo Optus satellite for Australian and New Zealand TV and broadcasting services. Verizon squares off against traditional cable providers and satellite TV companies, demonstrating the ability to tie together a cellphone with its FiOS TV service. Iinternational Datacasting acquires Comtech Tiernan in cash transaction of over $2m. Nimiq 5 delivered by Space Systems/Loral to International Launch Services Baikonur Space Center in preparation for September 18 launch. SkyTerra seeks $37m of federal stimulus money from the National Telecommunications and Information Administration to deploy two new wireless devices, to work on both terrestrial and satellite systems, for public safety workers. South Korea cancels first launch of satellite from its territory due to a technical problem. TerreStar selects BroadSoft VoIP application to power its new satellite mobile broadband service to launch later this year. Landsat 5 experiences anomaly rendering it out of control with power at critical levels, but spacecraft is stabilized. Lockheed Martin plans to cut workforce by 4.5%, but plans do not include cut back of facilities expansion in Philadelphia. iDirect platform excels during speed, mobility, and disaster testing at Fort Monmouth military exercise. Private Equity Firm Greenhill’s plan to take over Iridium is approved by FCC. A United Launch Alliance Delta II becomes last rocket to lift off from Cape Canaveral’s Space Launch Complex 17A as it carries aloft the twenty-first and last GPS AIIR satellite for the U.S. Air Force. While fears of the bottom falling out for all MSS operators due to the economic crisis have been overestimated, cautions is still the best attitude for the short term. This entry was posted on Friday, August 21st, 2009 at 3:18 pm	and is filed under Astronomy. You can follow any responses to this entry through the RSS 2.0 feed. You can leave a response, or trackback from your own site.